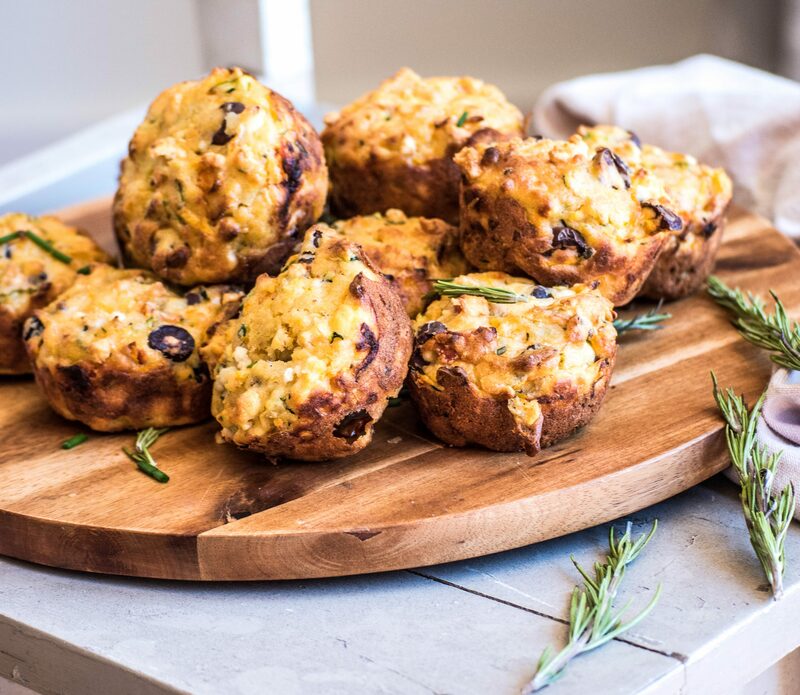 Take your picnic to the next level with these delicious morsels of savoury goodness… aka the ultimate savoury muffin. 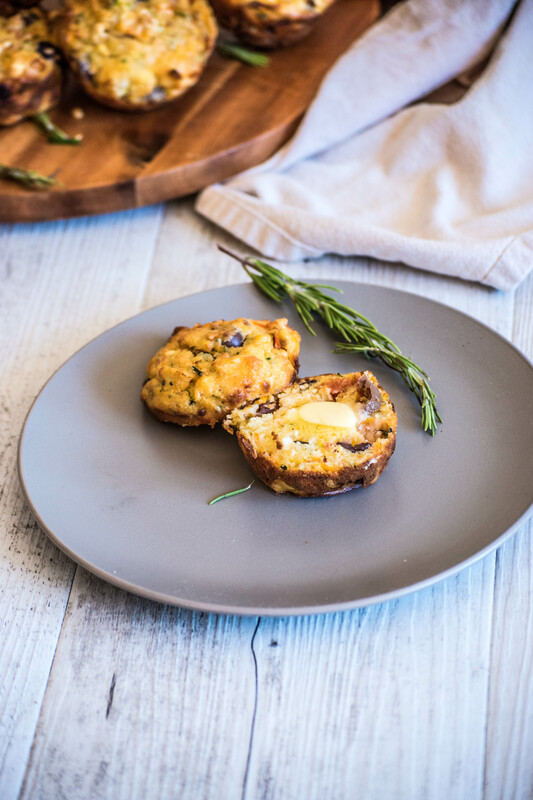 They are super easy to whip together, healthy and packed with so many delicious flavours they are sure to be a ground pleaser! 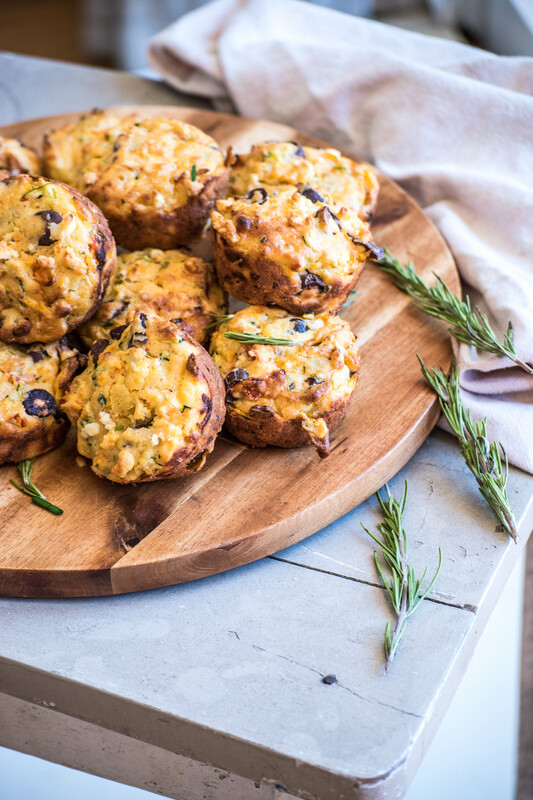 Preheat the oven to 160C and grease a muffin tray with spray olive oil. First Prep the ingredients. Grate the zucchini and carrot. Slice the olives and sun-dried tomatoes thinly. Roughly chop the chives and remove the rosemary from the sprigs. In a large bowl combine the flour and baking powder. Then add in carrot, zucchini, olives, sundried tomatoes and herbs. Crumble the feta into the bowl and then stir until all ingredients are coated in flour. Make a well in the centre and add in eggs, milk and melted butter. Stir with a wooden spoon until mixture is just combined. Divide the mixture among 12 muffins holes. Then bake in the oven for 15mins or until golden brown. Enjoy hot with a little butter or cold with a fresh salad!